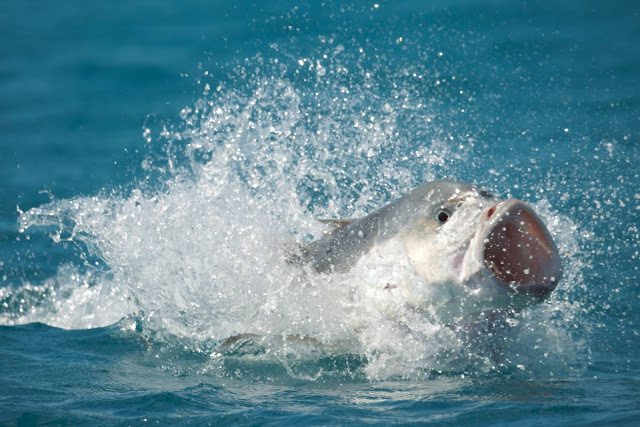 The Giant Trevally fish does! And Giant is a good word for this fish. It’s the size of a kangaroo and weighs as much as a grown man! But how can a fish, even a giant one, eat birds? But despite the scary mouth, Trevallys are quite beautiful and silvery. So how do they eat birds? 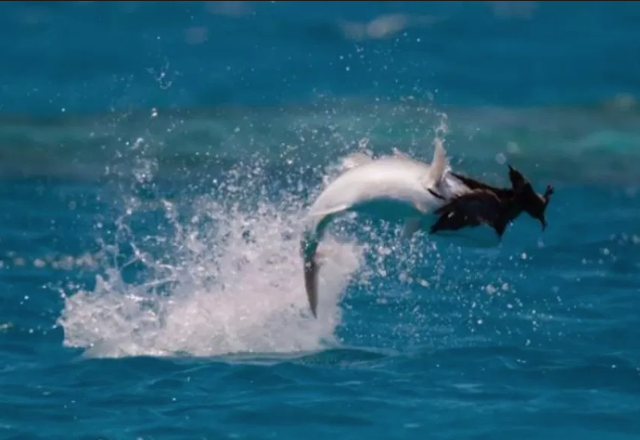 When they see a bird swimming on the water or even flying over the water, they open their huge mouths and gulp them right down! And Trevallys don't even have teeth! Question: What’s the largest bird they can eat? 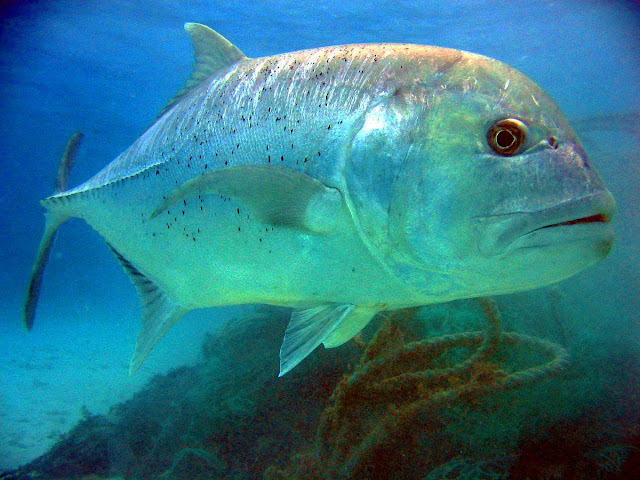 And did you know that Giant Trevallys can kill reef sharks? These are some amazing fish. But don’t worry. 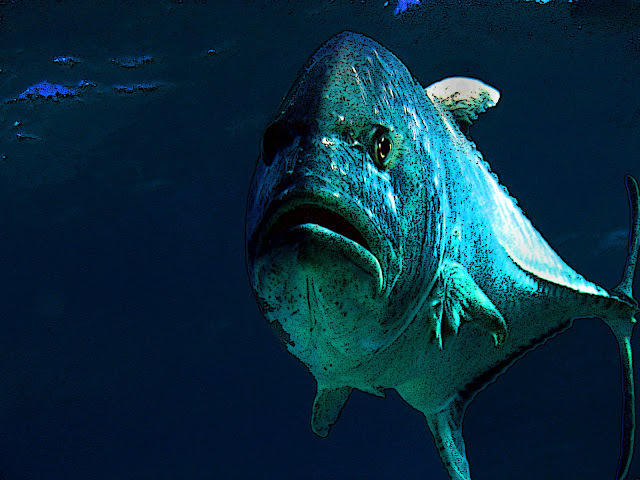 If you swim in a lagoon where the Giant Trevally lives, it won’t bother you at all. That's fascinating -God is an incredible creator! I certainly agree. I sometimes think he created things that we couldn't have even imagined in our wildest dreams!